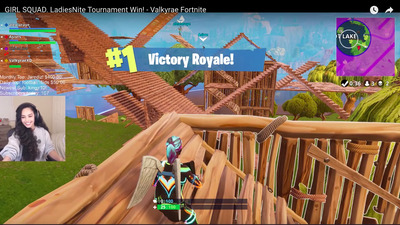 Careers forged through livestreaming and recording video games are becoming increasingly common, thanks to platforms like Twitch and YouTube, which allow anyone to set up a stream of regular content and reach millions of people from the comfort of their own home. But as gaming entertainment makes its way into the mainstream, so do the darker sides of the gig. In an industry that has never been particularly friendly toward women and the LGBTQ community, the small but growing pool of non-male streamers face many additional obstacles on the road to success. 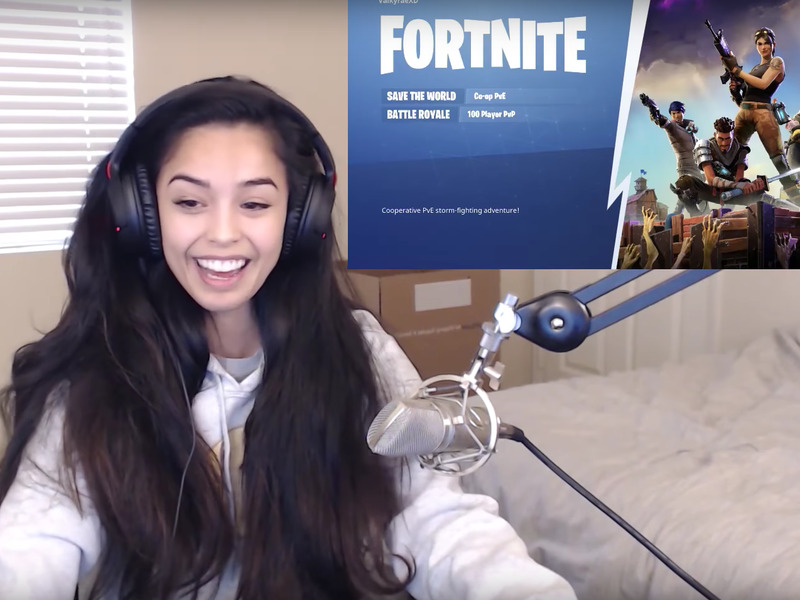 This week, we caught up with Rachell “Valkyrae” Hofstetter, a full-time video game streamer, to talk Fortnite, internet fame, sexual harassment and girl power. Her experience is one of many, but offers an inside look at the struggles and rewards of being a prominent woman in the gaming world in 2018. Rachell Hofstetter said she got her start by streaming role-playing, story-focussed games on Twitch, while she was going to community college and working at Gamestop. Now, she’s been streaming full-time for three years, and has made enough money through paid subscriptions, fan donations, and sponsorships to pay off her mother’s debt and help fund her childcare business, all while keeping the rent paid and lights on while living in southern California. 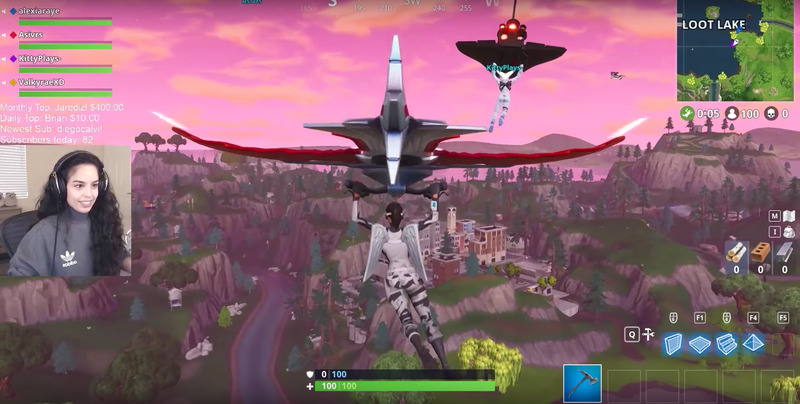 Hofstetter says while her audience is mostly male, she’s seen her percentage of female viewers triple since she started playing “Fortnite: Battle Royale” back in December, and uploading her streams to YouTube. She says her audience has also gotten significantly younger since she started hosting videos on YouTube in addition to streaming on Twitch. 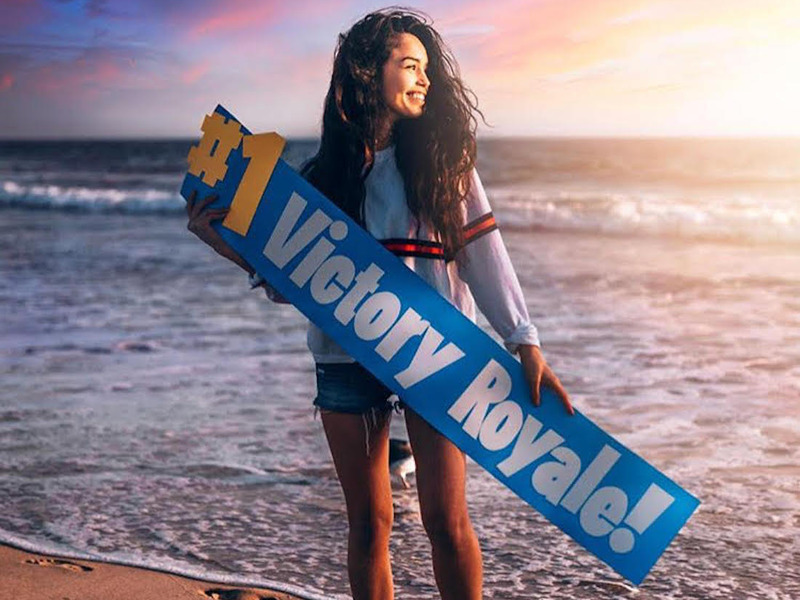 She says while connecting with fans can be incredibly rewarding, being an internet celebrity — particularly, a woman playing video games — comes with its challenges. In one particular instance, Hofstetter told Business Insider that one troll harassed her for weeks across multiple social media sites, creating a new account each time she tried to block him. That particular troll didn’t stop until Hofstetter had a private conversation with the troll, and threatened to get law enforcement involved. “The harassment is never-ending, so you can’t take it personally,” she said. Determined not to let negativity impact her high-energy streams and bubbly on-camera personality, Hofstetter says the key to not being discouraged by harassment is to simply acknowledge its inevitability, and not take it personally. “No matter what you do in life, people are going to harass you, so you just have to do your thing anyway,” she said. 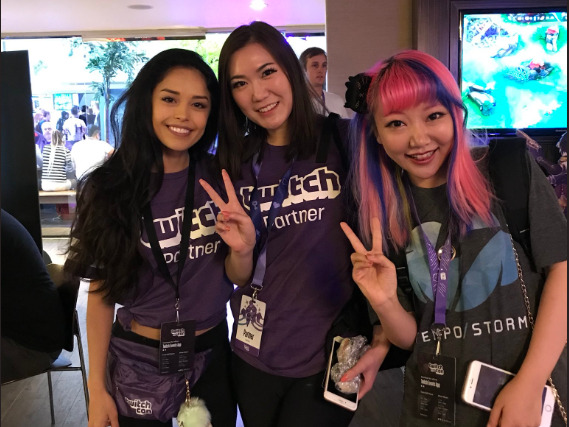 Twitter user @ValkyraeRachell ‘Valkyrae’ Hofstetter (left) poses with fellow streamers Rumay ‘Hafu’ Wang (center) and Haiyun ‘Eloise’ Tang (right) at TwitchCon 2017, in Long Beach, California. And for some viewers, she says, hearing an entertaining and friendly voice can make a huge difference in their day. “I get thousands of emails and messages from people who say I’m helping people with their depression and anxiety, just by playing Fortnite,” she said. One of the ways that she combats the negativity is by teaming up with other female streamers, and seeking out a more female audience, particularly through Fortnite content. In fact, Hofstetter will often dedicate entire Fortnite streams to playing with a dedicated “girl squad,” like the one in the video pictured above. She says the comments reveal that these videos are particularly popular among teenage girls, and even mothers watching with young children.